You are here: Church Letters and Welcomes > Welcome to Church Letters! If you clicked on a link from our Ebook, or our old site (ChurchLetters.net), welcome to our New Site here at ChurchLetters.org! We were on the web for nearly 10 years, (started in 2004), but then our membership interface provider decided to go out of business so we began our search for a new provider and after a brief search found one that increased our capabilities more than ever before. Sometimes changes we don’t feel we want actually turn out in the long run to be good changes! With that in mind we started the nearly year long process to encourage our members to switch to the new site and many did so. Along with those who made the “journey”, we have many new members who joined us starting in 2013, and continue to do so on a regular basis. We have added many Church Letters since ChurchLetters.net, and have also added a number of Church Welcomes to our lineup. 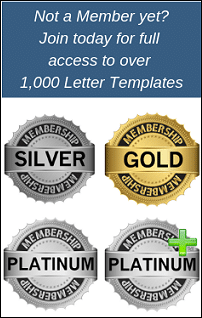 If you are a former member of ChurchLetters.net and would like to re-join our new site at a discounted rate, we would encourage you to visit our Membership page, and select either Gold, Silver, or Platinum Membership. Then, when you get to the checkout page, you will enter the coupon code “10OFF” (without asterisks), then click “apply”, and you will receive $10 off as a courtesy and appreciation for joining again. Just a reminder… Our Annual Memberships at ChurchLetters.net used to be over $80.00, however, you can get an Annual Platinum Membership with the coupon for less than $50.00 for a full year!